Judy in Her Natural Habitat: The Kitchen: S'mores from Scratch! My OCD (a severe aversion to anything perceived to be dirty) does not approve of camping. I've only been twice in my entire life. I was a kid and my need for cleanliness had not yet manifested into a lifelong love of soap and hand sanitizer. However, it still presented itself as a rather traumatic experience, due to the lack of plumbing, central heating, and cable television. Although, I do have one positive memory: making s'mores around the campfire! It was the first time I had tasted one and boy, was it glorious! Three of my favorite things, all rolled up in one! The weather has been super nice this summer, so we've been getting a lot of invitations to go camping. After declining yet another, I began to think about all the s'mores we were missing out on! So, at some point way past 10 o'clock last night, I dragged Hubby out of bed and to the grocery store...I was on a mission and no one could stop me! I embarked on a S'more Adventure that would require making everything from scratch: marshmallow, graham cracker, and all~! So... once I was at the point of no return, I realized that it was way more complicated than I imagined. lol. But being my stubborn self, I pushed on well into the night. It turned out to be a two-part process that extended to the next day! So if you're going to follow in my footsteps and embark on this adventure, make sure you start prepping for these a day in advance! 1. Make the "Chocolate Toppers/Garnishes"
Trace the outline of your cookie cutters on a piece of paper. Use different sizes. I made a sheet of flower outlines! Tape the outlined paper to a cookie sheet and cover it with wax paper. Secure the wax paper by taping it to the cookie sheet. Melt some dark chocolate chips and pour into a ziplock bag. Snip the end of the ziplock bag to make a temporary piping bag. Pipe the chocolate onto the wax paper, outlining the cookie cutter shapes that you traced earlier. Put into fridge to cool & harden overnight. Later, you will be able to easily peel off the chocolate and it will stay in the form of the flowers you just pipped. We will use these as "toppers/garnishes" later. Following the Graham Cracker recipe was pretty straight forward. When you pour it out of the food processor, it will be really sticky and will look like this. Sprinkle with flour. Kneed & shape into a one-inch thick square or rectangle. Chill in the fridge over night. I found this great marshmallow recipe and ran with it. It's basically a sugar and unflavored gelatin mixture. Boiling sugar water is pretty! This is the gelatin with the boiled sugar water, before mixing. You basically just mix this sugar and gelatin bowl for about 10 minutes. Through this process, it will change both in color and texture. At some point, the clear liquid mixture will turn white. When it does, this is the time to add coloring, if you want a colorful marshmallow. I opted for blue! When it's done, after about 10 minutes of whipping, it will have a viscous and smooth texture. Line a pan with wax paper, pour in the marshmallow batter and chill in the fridge overnight. I recently got a pack of these cute silicone rings, called "dough planners." You put one on each end of your rolling pin and it gives you a perfectly even dough when you roll it out! The rings have different thicknesses that will give you a range of different dough thicknesses, depending on what your needs are. I used the grey ones, which gives you a 1/8 inch cookie dough. I rolled out the dough and used the same cookie cutters I used last night, varying in size. Place on a cookie sheet and use a fork to poke a few holes in them. Bake on the very top rack for 15 minutes at 350 degrees. They turned out really pretty! And they smelled delicious! Grab the marshmallow pan, peel the sheet of marshmallow off of the pan and put onto a plate. Use the same cookie cutters as before, varying in size, and to cut shapes into the marshmallow. Grab the "toppers/garnishes" we made the night before and peel them off of the wax paper gently. Place them on top of the marshmallows. 3. Assemble into cute S'mores! This was perhaps one of my more crazy undertakings, but it was sooo fun! And they're much prettier than anything you can make in the wilderness with nothing but sticks and a giant, burning fire! =) I like things that are clean...and aesthetically pleasing. lol. Give these a try! They're pretty and delicious. The best part: you don't have to go camping to make them! Those are amazing! I haven't seen anything like them before. So very elegant. Nice work, Judy! Wow! These look incredible. Wow! I am very impressed. My husband's favorite dessert is a good S'more. Not just the campfire kind, but with homemade marshmallows and graham cracker. For sure I am going to have to try these. Wonderful job! These look amazing!! They would be perfect little treats at weddings and the like. Great idea! 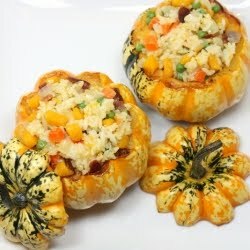 As a fan of whole foods in general, I am a big fan of this recipe - pretty flower shapes or no. I'm trying to make my favorite foods/treats from scratch as often as I can and S'mores are definitely one of my favorite treats! However, one of the things I LOVE about S'mores is the fact that the marshmallows are toasted before sandwiching, melting the chocolate and giving you that nice crispy-yet-gooey consistancy. That said, I have a question: how would you recommend I attempt that in a kitchen with your recipe to get similar results? I've used a broiler before (which worked great) but with store-bought supplies. I'm afraid if I toast the marshmallow cut-outs before assembling the sandwiches, I'd melt the chocolate designs COMPLETELY and essentially ruin the sandwiches. The only thing I could think of was to leave out the suspended chocolate bits and just add extra chocolate to the insides of both crackers instead. It wouldn't look as pretty, but it may hold up better. What do you think? KB- wow, those are very valid concerns! lol. ones that i didn't think about when i created this recipe. lol. That's a great idea! I hadn't thought about a blow torch, but I think that's perfect. You'd be able to control just how warm and crispy they get (and therefore just how messy, haha).